Anyone running the TDR Rotrex kit? 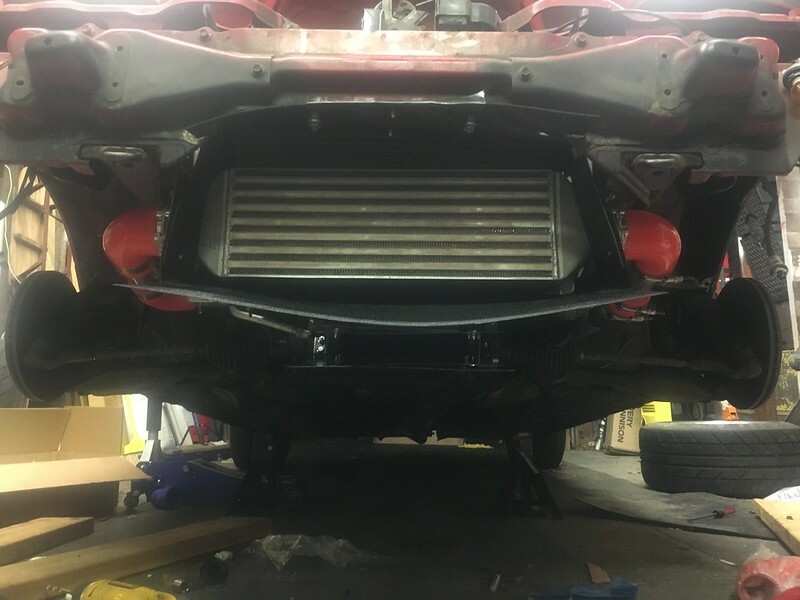 Ducting questions - Miata Turbo Forum - Boost cars, acquire cats. I'm in the middle of installing the TDR Rotrex setup on my '91 with 1.6. The car is mostly geared towards HPDE with some weekend fun thrown in. I have removed the AC and PS so my heat exchanger setup is much simpler than what the TDR kit is built for. I appreciate the little ducting bits they provided but think there's a better solution when removing the AC and PS lines. I'm wondering if anyone has played with doing some duct work. Below is how I had my old Greddy turbo setup done, would like to mimic the same but am thinking about moving the SC oil cooler up front. 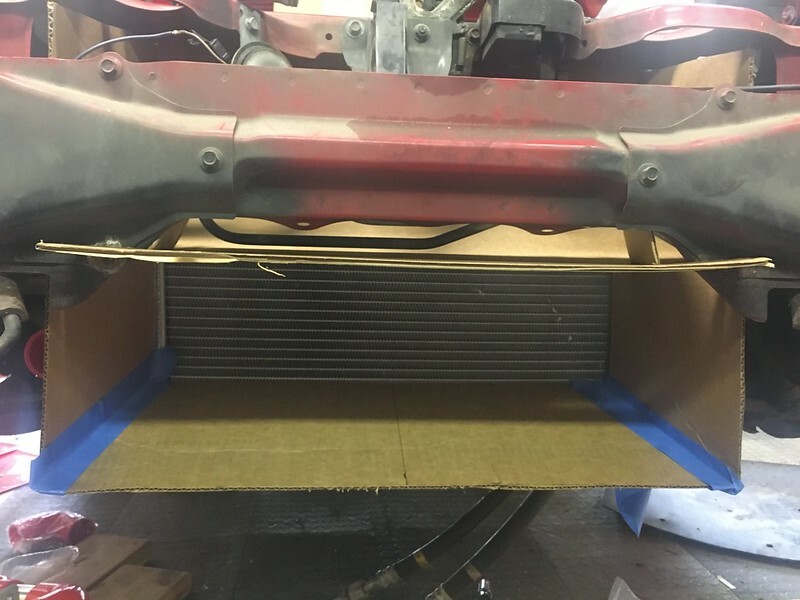 I'm also trying to figure out the best way to bridge the space between the intercooler and radiator. Would like to see ideas from anyone.